For this class we bring in 3 different types of Chairs. 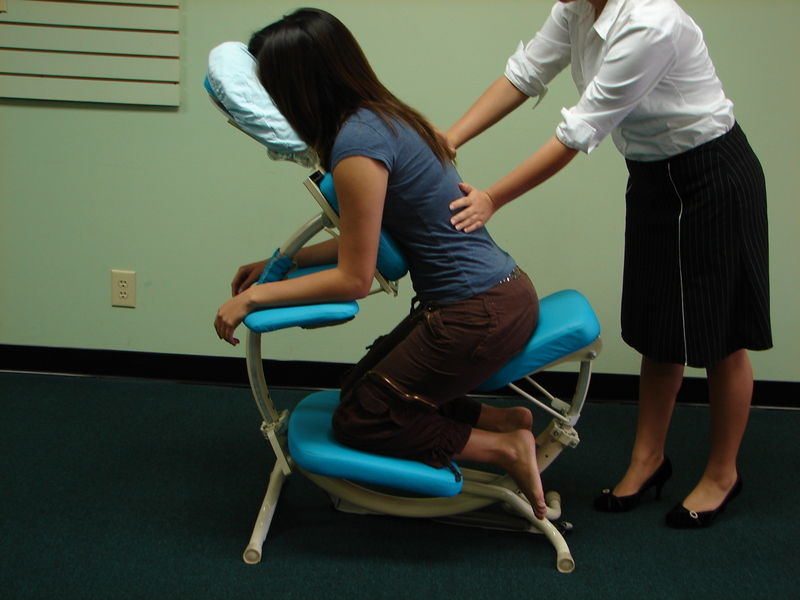 We do the Hands-On portion of the class both sitting in each type of Chair as well as doing the massage on each type of Chair. How would you know if you really prefer one, over the other, without practical knowledge? Since everyone can’t run out and buy a new Chair we also teach you how to do a similar massage using your regular portable table. We believe the student should be able to use what they learn when they leave and not have to buy special equipment every time. During the introductory portion of the class we also cover marketing and sales to try and use this in your everyday practice.